NOTE: This will only install the framework under your user, however if you are on a Shared Hosting plan (restricted or no SSH access) you won't be able to use most of it's functionalities. How to properly deploy your LARAVEL Project on a Shared Plan will be covered below in the next section. 2. Under SOFTWARE section, choose Softaculous Apps Intaller. 3. Type Laravel in the search-bar and on the next window click Install Now. 4. On the next page fill in the requested information and choose Quick Install. After you have finished building your LARAVEL 5x application on your local machine and assuming your project is called laravel50, please proceed to compress (.zip) your whole project on your local PC. 4. Upload the laravel50.zip to the root directory – not the public_html. 6. Open the laravel50 folder and MOVE the CONTENTS of the public folder to your cpanel’s public_html folder (or to the folder where you want your LARAVEL project to reside). 7. Navigate to the public_html folder and locate the index.php file. Right click on it and select Code Editor from the menu. NOTE: According to your projects folder name. 10. If everything went well, your website should now throw a database error, this is because you haven't migrated your database yet. 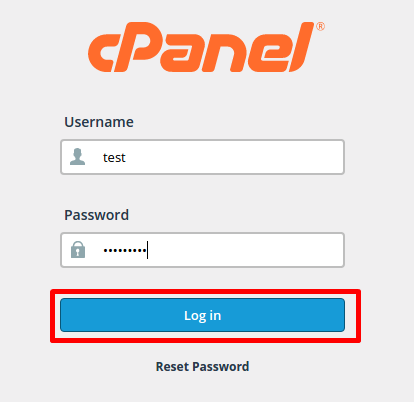 To do that, you will first need to create a MySQL database and user from the CPanel. This can be done by following this TUTORIAL and this TUTORIAL. After this you will need to restore your MySQL backup done on your local machine to the newly created MySQL database you have made. This can be done by following this TUTORIAL.